Why It Locksmith Service Is Important? Locksmith services always play an important role while you are building your house or commercial building. Whether you want to change your lock or want to fix the locks of your house, you will need a reliable locksmith service. Even in times of certain emergency situation like locked out of rooms or house, you will need a locksmith. 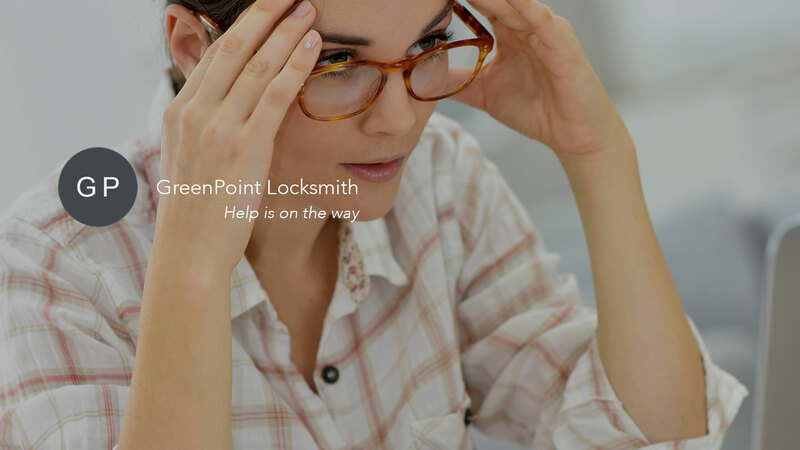 GreenPoint Smart Locks service provides you one of the best locksmith services. Industry Related Solutions: If you think that there is not enough security in your industry, then you can for us. Our experts will examine the building and provide security services essential for your industry. One of the worst nightmares of the people is to get locked out of their houses and rooms. But do not panic! We are here to help you out from this situation. You can call us anytime as we are open 24x7 and our experts will reach your place immediately. We also provide lock and keys duplication service. If you want to create a duplicate key of your original keys, then you can contact us. Our experts will help you to get your job done. GreenPoint Smart Locks guarantee you to provide 100% safe and secured services. For any above mentioned services, you can directly contact us. Our experienced locksmiths will be there to help you regarding your lock and keys problem. If you need a professional and the best service, be it for normal purpose or emergency, make sure you dial to us.